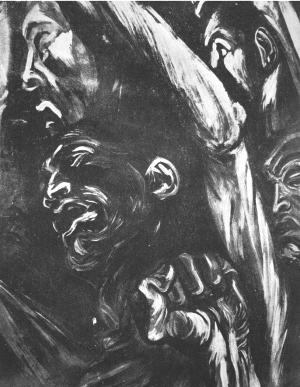 Hungry Masses (Detail), Jose Clemente Orozco, from the fresco at the Wall of the Paraninfo, University of Guadalajara, Mexico, entitled ‘False Science and the Human Problem’. 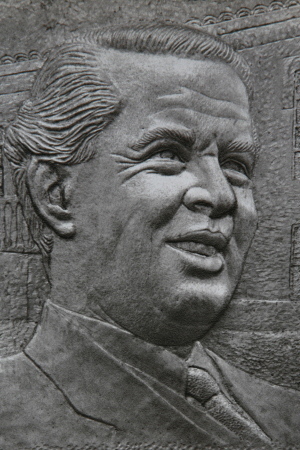 With you, Party, with you, Enver, we march from victory to victory (Detail), Jovan Ceka. 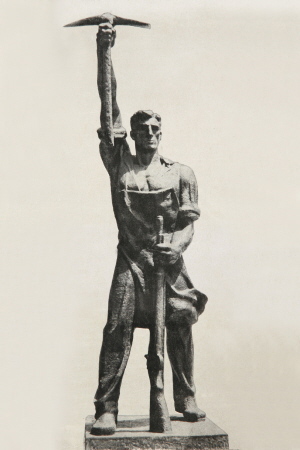 A sculpture cast from the first batch of steel given to Enver Hoxha as a present from the workers of the Metallurgical Plant. The Left and the Nuclear Deal, N.M.